Yesterday we have published report on Yahoo Beating Google by Gaining 1.6% Search Market Share of Google. 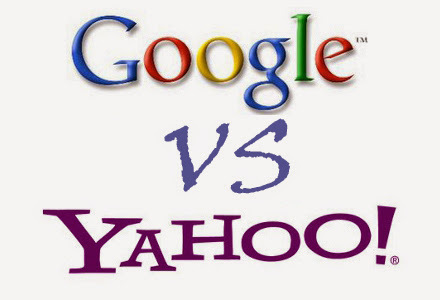 It seems that Google threatened by Yahoo`s recent profit in search market share. Yahoo`s gain is because of their deal with Firefox which made it browser`s default search engine. Since the day Yahoo made deal with Firefox and became it`s default search engine, it`s search market share started growing. Everyone has noticed this fact. As this new search market share result revealed, Google has started a social media campaign to bring Firfox users back n Google. There is a Gif image on Google Plus showing users to change their default search engine from Yahoo to Google. Their post also linked to their landing page showing how to change default search engine. Now you can think, is Google reacting on the latest threat, it has seen in search market result or it`s just a reminder. It will be interesting to see how long Google will be on defensive side even if Yahoo search market share keep growing. Do share what you think about this search market game? Don`t forget to like us on facebook and subscribe eAskme newsletter to get free updates.